Recruiters look at resumes every day. They have seen good resumes and ones that need improvement. As a result, recruiters would like to share how to perfect your own resume before applying for a job. For starters, a resume should be standardized. No fanciness, just keep it basic. A resume’s job is to stand out because of the experiences on it, not because of the paper or font that is used. Additionally, keep your resume on white computer paper. Recruiters recommend staying away from resume paper, card stock, and colored paper because it ends up distracting the reader from the information on the resume. Keep the font between sizes 10 and 12. If the font is too small, the resume may be thrown away without ever being looked at. 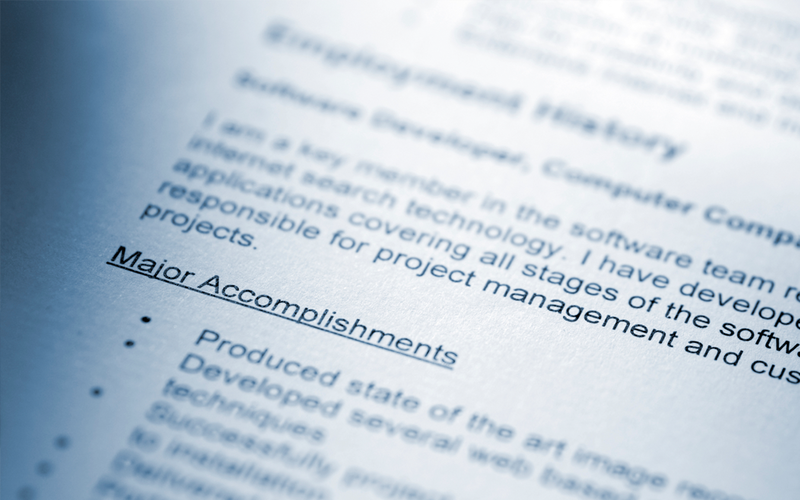 Do not worry about keeping your resume down to one page. Give yourself room to share your experiences but do not make your resume 5 pages long either. If you are a recent college graduate, keep your resume down to one page. Do not include all of the clubs you were a part of or all of your college jobs. Keep the clubs down to the ones you had leadership roles in or served the community with. Include your most recent jobs on your resume, especially internships or jobs that pertain to your major. Through college and for a short time after you graduate it is appropriate to have your education at the top of your resume because it is what you have most recently doing for the last few years. Although, once you have some job experience under your belt, put your job experience at the top of your resume to show that you have the skills and knowledge necessary to make it in the workplace. When describing your current job, be descriptive but keep it brief. Do not have one job description take up more than half a page. Lastly, remember that a resume is a recruiter’s way of determining if someone is qualified for a job. By having a clean and professional resume, a recruiter can find you and set you up for potential jobs.